perfect for the vintage inspired style. 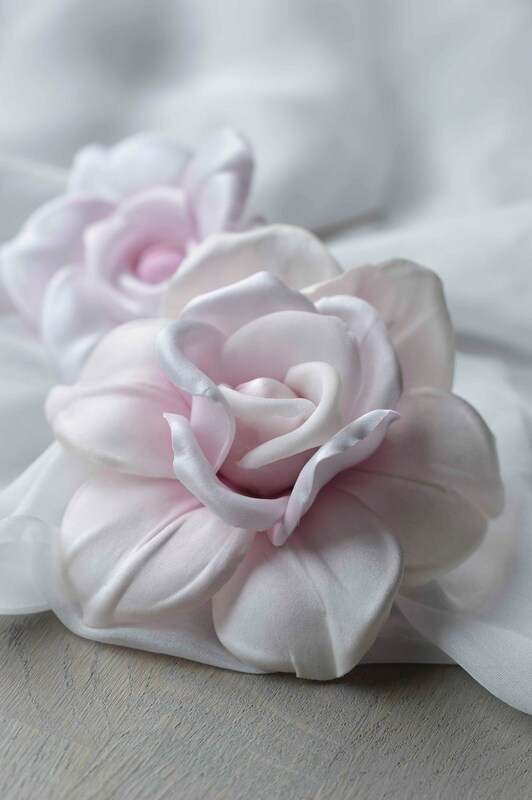 Each petal is hand painted with blush pink tones on white silk. 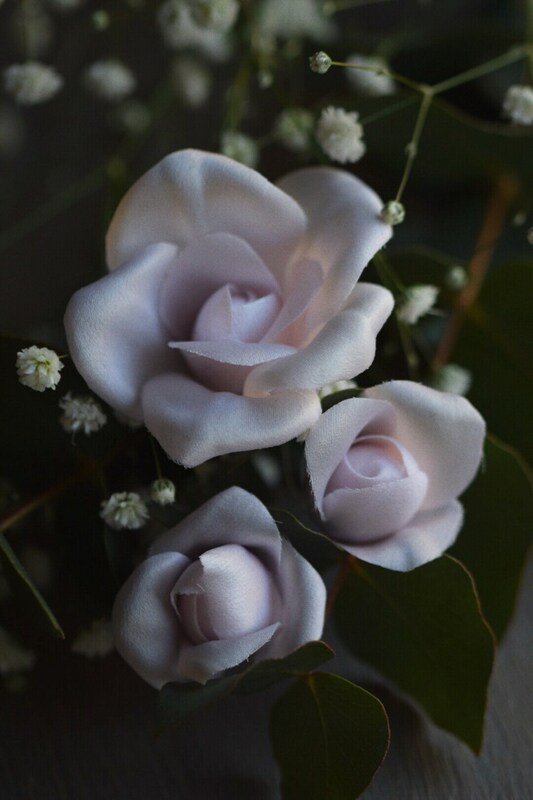 Cut and shaped individually using professional millinery tools and techniques. 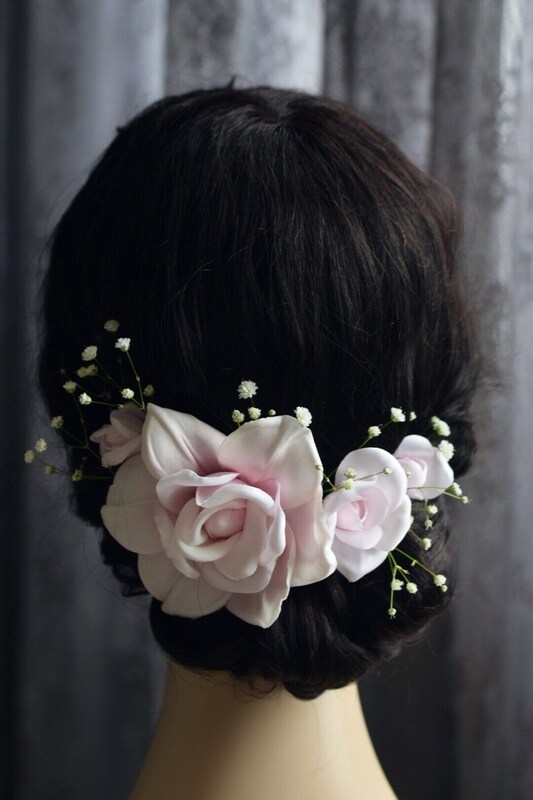 Flowers can be mixed with real flowers like *baby breath* or simple green leves.